Want to Work At DoC's? Ask how you can join our team! 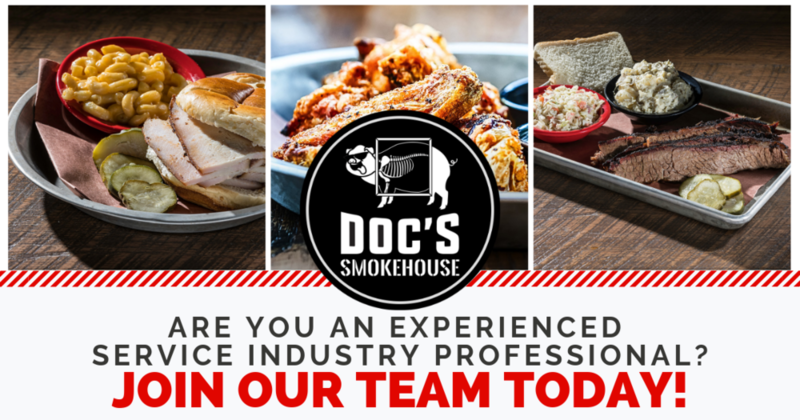 We truly appreciate your interest in working with us at DOC's Smokehouse. We are always adding great team members.